The main components of our system are the CINE TAPE MEASURE CONTROL and the SENSOR ASSEMBLY. The control displays accurate distance measurements from the constant stream of data that is received by the sensors. 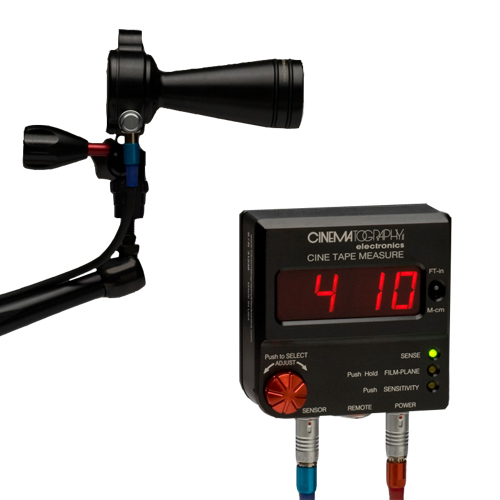 Our CINE TAPE MEASURE System is a small, rugged, lightweight, and quiet ultrasonic range finder. It is compatible with all lenses, film cameras and video cameras. In addition, our system is easy to set up and use, making it the first choice of professional filmmakers.